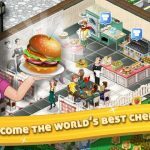 Restaurant Story 2 follows up Storm8 Studios’ original Restaurant Story, and it’s a restaurant management/cooking game that’s available on the iOS and Android mobile platforms. The game is described as a fresh new cooking adventure with smiling customers, colorful ingredients, and delicious recipes. You can collect ingredients, add new equipment to your kitchen, learn new recipes, and even grow an herb garden so you can grow herbs and spices to make your dishes more flavorful. Also expect to deal with different kinds of customers as your little restaurant grows bigger and more reputable. 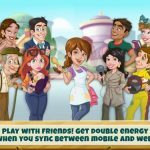 This game should undoubtedly be familiar in terms of mechanics to anyone who’s played Diner Dash or, say, the original Restaurant Story, but if you haven’t, you can refer to the following Restaurant Story 2 cheats, tips and tricks for building the ultimate restaurant from the ground up. So far, the time lapse cheat has yet to be patched or nerfed, which means you can take advantage of it if you’re willing to bend the rules a little bit. As usual, you’ll pull off this cheat by changing the time on your device and setting it a few hours forward. Return to the game and whatever you were trying to cook or sell would be all ready for serving or selling; changing the time back to normal won’t reverse the effects of the time lapse. The time lapse cheat also works when skipping the cool-down period for outside food. However, you will notice that the stoves seem to be in boxes, even if you’ve still got the food and still have the coins. What you can do here is sell your old stove and buy a new one, or wait it out as the stove will eventually reverse itself anyway. Repeatedly visit customers at the social area, as this will increase your social bar to two hearts or more. The more hearts you have (you have a maximum of four), the more likely your restaurant will be trending on in-game social menus. 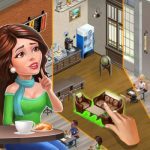 That means more customers for you, and you can add people – other Restaurant Story 2 players – to make return customers out of them, in addition to the above tip. Quick Serves are designated by the hand icon, and they’ll let you cook or sell food right away without having to wait – this is the main benefit of having other friends playing the game. You can find more players to exchange Quick Serves with by posting “add me” requests on other users’ walls (not always recommended), or adding a restaurant name at random. You can also create a Storm8 account link your restaurant to your account. With more appliances in your kitchen, you’ll be able to cook more food at the same time. 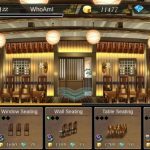 You would also need more counters, tables, and chairs so you can accommodate more customers and have them stay longer in your restaurant.